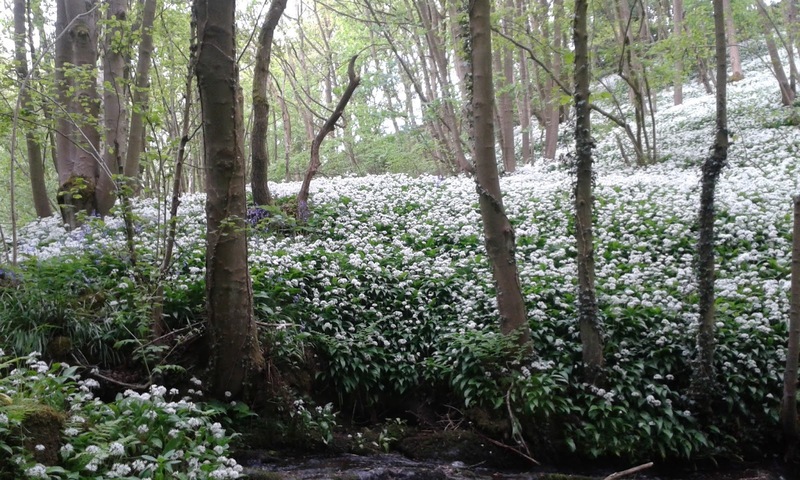 Above: dismal weather in May gave way to gales and downpours at the start of June but warmer and calmer conditions soon prevailed and greenery was seen to striking effect as the sun shone. Above: tucked away in a field above Snowden Ghyll is a delightful clump of bugle, which was regarded by medieval herbalists as a cure-all. It is seen here growing with yellow-flowered lady's bedstraw, which in olden times in the north was used to curdle milk. Above: a few clumps of water avens can be found on the bank above Snowden Ghyll. Above: no apologies for another photograph of the stunning massed ranks of ramsons in Swartha Wood. 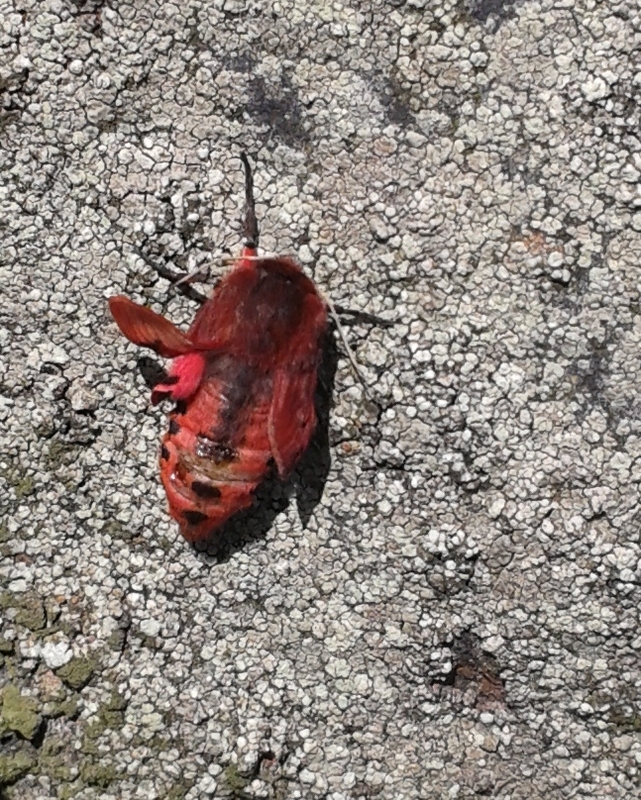 Above: I have been informed that what I thought was a red mason bee, which is like a honey-bee in shape but with red hair on the body, is actually a Ruby Tiger moth (Phragmatobia fuliginosa). It is pictured on a lichen-covered wall near Tar Topping waiting for its wings to expand after emerging from its pupal case. I am grateful to "dragon fly" for improving my flawed powers of identification.